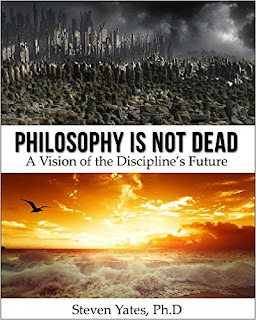 Is philosophy dead? Stephen Hawking has said so, and Neil deGrasse Tyson has warned students away from it. This book responds by explaining why philosophy is relevant in contemporary American society. It may not be dead, but it is troubled by its invisibility and an appearance of irrelevance, at least some of this its own making. The author offers an explanation of how modern philosophy found itself marginalized within academic cubicles and offers a thesis on what kind of job philosophy might do in a contemporary society that is intellectually, morally and spiritually adrift. That job: identify, clarify, and critically evaluate prevailing worldviews as they are embodied in institutions and cultural practices, or make themselves manifest in contemporary cultural events. 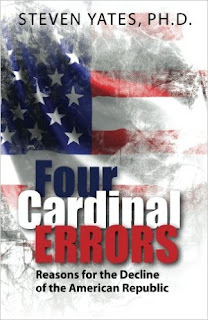 Four Cardinal Errors presents the past 240 years of history as directed, in large part, by shadowy behind-the-scenes forces emanating from a cartel of extremely wealthy bankers who later joined forces with others (members of the British Fabian Society) to pursue the same agendas of globalism, centralization and control. This meant the long-term destruction of the American middle class, especially via the sabotage of middle-class values including financial independence, a work ethic and an essentially Christian based morality. The Four Cardinal Errors: 1. The U.S. never won full economic sovereignty from Great Britain and its banking elites housed in the City of London. 2. The U.S. embraced an educational system alien to its founding principles. The new system was rooted in the Prussian tradition where the state owns the individual instead of the American Constitutionalist tradition. 3. The U.S. followed Europe in abandoning an essentially Christian culture and replacing it, very slowly, with an increasingly materialistic one, leaving the middle class twisting in the wind in terms of moral foundations. 4. We failed to recognize the role and modus operandi of the British Fabian Society: penetration and permeation of all institutions, in pursuit of a globalized, dehumanized British-American capitalism which, coupled with philosophical collectivism, could be steered and used to transform as much of the developed world as possible into a totally controlled global society. STEVEN YATES, PH.D.